Bulgaria, a country in the Balkans hugging the Turkish Straits, is a gateway to the Middle East and the Asian territories that lie beyond. Having regained its independence in 1878, Bulgaria can be considered a new state; regardless, it’s certainly an old country that traces its roots to the final years of the 7th century when a branch of Slavs merged with the first proto-Bulgarians to form what would then be the first Bulgarian state. It is this historic legacy that has become one of its most (though certainly not the only) compelling reasons for would-be tourists to visit this popular country. There is a lot that Bulgaria can offer for visitors old and new. Besides the aforementioned cultural heritage, this gem of the Balkans offers an array of attractive natural landscapes which make it one of the most popular destinations in South-East Europe. The tourism industry has been a potent workhorse for the country’s economic growth and, only a few years back, managed to attract almost 9 million tourists per year. Cultural tourism delights on the ancient cities and towns (e.g. Sofia, the country’s capital, is one of the oldest cities in all of Europe), the beaches receive sun-hungry tourists every summer and the winter ski resorts take advantage of the terrain to produce some truly chill-inducing tracks. As mentioned, the natural landscapes are one of the most important crowd magnets in Bulgaria. Winter tourists flock to the steep hills of the many ski resorts while summer is the time of hikers and nature explorers; for those who prefer the later, the Pirin National Park is the best choice with a variety of landscapes and routes that will entertain even the most avid hiker. After being enlarged several times throughout its history, the park now spreads over a wide area (over 27,000 ha) and comprises an eclectic mixtures of landscapes that include: limestone mountains, glacial lakes, waterfalls, caves and even coniferous forests. Sitting on the South-West section of Bulgaria (between the valleys of the rivers Mesta and Struma), it is one of the most beautiful locations country-wide and was added to the World Heritage List during 1983. The government is putting its resources at work to develop the park as a nature-friendly outlet for tourism. In the past years an integral information system to aid tourists was developed and a total of 13 tourist routes (one of them international) have been marked. The routes vary in difficulty and length (usually from 2 to 8 hours tops) and are constantly being maintained. New routes and paths are currently being developed, including special treks for people with specific needs. 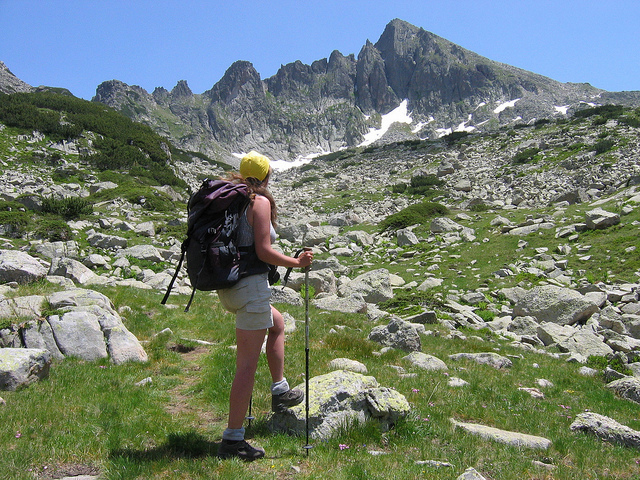 This special care makes the Pirin one of the best hiking locations throughout Eastern Europe and a sure bet for any nature lovers deciding to pay Bulgaria a visit. Next post: Do I Need Travel Insurance if I Have a EHIC?